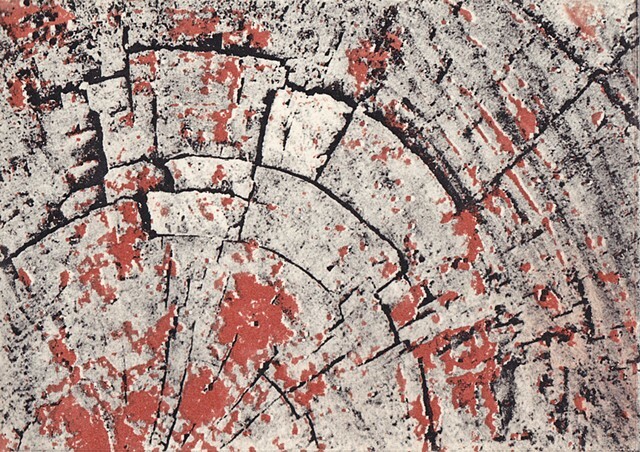 This print originated from a photograph of old stump of a white pine. Considerable manipulation of the photograph yielded this two-color solar plate etching. The tree has been gone for decades, but the what remains contains to feed the lichen and moss that sequester carbon from the atmosphere.